It has been a busy few weeks since being back after Christmas, which now seems a distant memory. Not complaining though, with the threat of the Credit Crunch it is definitely good to still be arranging events for clients. We are still hitting the phones and reminding existing clients that we are here and have many lower budget events to suit client and staff entertaining. Some of these include Team Tactics Cab Clue Trail and Take Away Treasure Hunt and our Corporate Cooking Events; How to Cook Asian and the ever popular Corporate Cook-Off. 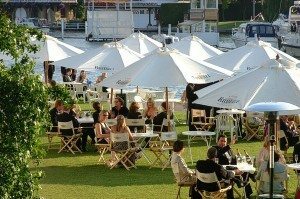 Henley Festival is also coming up this summer and both Henley Festival and ourselves are aware of the current climate and therefore we have both reduced our prices for this year. To book Henley Festival or for more information please contact us. For 2009 Artist Profiles please click here. At a glance Katherine Jenkins, The Bootleg Beatles and Ray Gelato are just a few artists featuring at Henley Festival. Also 2009 sees the first year of Polo In The Park, an exciting and innovative polo event that is coming to Central London this summer combing power and passion with guts and glamour. The Polo in the Park tournament will be held at Hurlingham Park, South West London, over 3 days, culminating in the final on Saturday 6 June. Spectators will be treated to some outstanding polo matches over the course of the event, as a minimum of six teams, from iconic teams across the world, battling it out to become Polo in the Park Champions. Please contact us for more information or to make a booking for Polo In The Park. We also now have dates and prices confirmed for The London Bierfest. The London Bierfest has hosted more than 25,000 guests since it began in 2003, all of whom have enjoyed the fantastic atmosphere and entertainment at this unique event. What better way to entertain your clients or colleagues this autumn, than in the relaxed and fun environment of our very own Bierfest! For more information or to book a table please contact us. Well that’s all from me, in the mean time please keep an eye out for Team Tactics Golf Day to be held at Kings Barns Links Course, details will soon be coming to our website and also look out for our superb trip to Galway in Ireland which will include a great day horse racing at their summer festival along with a round of golf at the Golf Club, all details will soon be loaded to our website. Please contact us if you would like more information on either of these.